Many of the homes in Country Club Shores Longboat Key are on canals accessing Sarasota Bay. The Sarasota MLS shows a wide variety for sale currently with 51 listings on the market. On Boget Lane, a two bedroom, two bath home built in 1964 with beach easement if you are a member of the home owners association. The sales price on this Longboat Key home for sale is $435,000. At the top of the list of homes for sales is a unique estate on Putter Lane price at over $6 million. Bring your yacht to this one! Country Club Shores on Longboat Key is close to restaurants and shopping of nearby St. Armands Circle. Downtown cultural amenities are a short drive. If you are interested in homes for sale on Longboat Key, call Annette Smith at 941-504-3922. 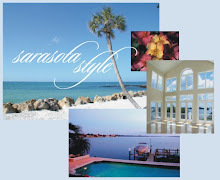 We specialize in helping buyers and sellers of Sarasota waterfront real estate.